It is a replacement glass tube with capacity of 2ml for Reux Mini. You can replace old or broken tube with it. Get it as a spare part. The WISMEC Pyrex Glass Tube is designed for the Reux Mini Atomizer. You can replace the old or broken tube freely with this one - perfect. Get it as a spare part just incase! • It is for WISMEC Reux Mini. The seller is honest, the order did not receive but the money returned without questions. Probably mail wine. 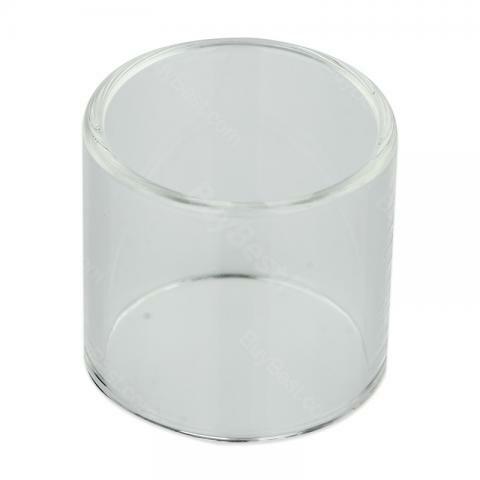 WISMEC Reux Mini Atomizer Glass Tube is a 2ml capapcity glass tube. made of pyrex glass. Designed for the Reux Mini Atomizer. You can replace the old or broken tube freely. Good perfect quality is set to reux mini. I am satisfied having this.